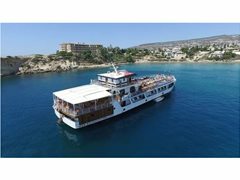 Urgently seeking dancer singer to perform as part of a live show onboard one of Cyprus's leading evening entertainment cruises. You would perform 4 evenings per week as part of a show team and sing a few songs solo before and after the show. Monthly salary of €900 per month, accommodation, outbound and return flights (reimbursed upon completion of contract) and food and drinks on the evenings you work are all provided. Contract starts June-Oct 31st. You are required to start rehearsals from May 1st. Rehearsals are unpaid and throughout the last 2 weeks of May you may perform a few shows. These will be paid for on a per show basis. *Suitable attire to perform solo vocal sets in. All candidates must supply a showreel showcasing BOTH dance and vocal ability and current photos and also a CV.